First Fridays in Ellicott City! A few months ago I was contacted by designer Heidi Dripps to create a finish that was inspired by a wallpaper that the client loved. 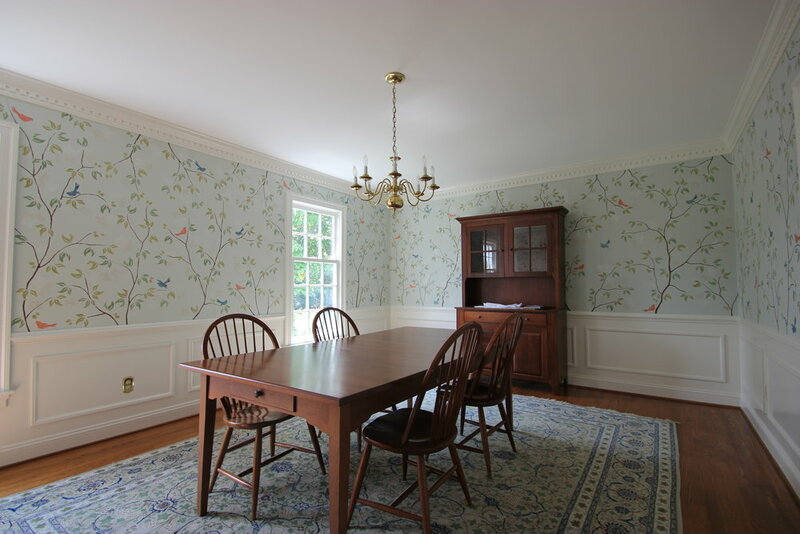 The wallpaper was beautiful but there were certain things that didn't work for the client. One, the colorways weren't quite right. And two, the composition wasn't just so. The designer and client wanted me to recreate the feel of the contemporary imagery but create more of a mural. In keeping with the printed look I created stencils and masked out each branch so that I could stencil them also. 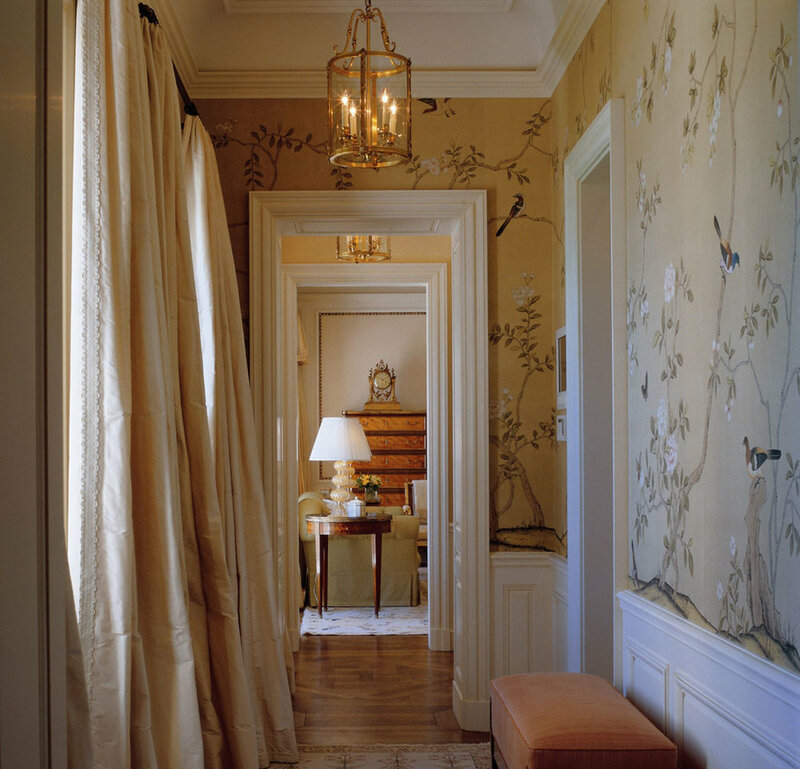 The final look is traditional and contemporary at the same time. Definition of Chinoiserie (pronounced shin-wa-sur-ee) courtesy of wikipedia: a French term, signifying "Chinese-esque", refers to a recurring theme in European artistic styles since the seventeenth century, which reflect Chinese artistic influences. It is characterized by the use of fanciful imagery of an imaginary China, by asymmetry in format and whimsical contrasts of scale, and by the attempts to imitate Chinese porcelain and the use of lacquer-like materials and decoration. The Open House was a success! Thank you to everyone who came out to celebrate with us. Special thanks to my family; Mikey, my Mom & Dad. And thanks to Paula, the Summerhills, and all our friends, clients, and peers. If you weren't able to make it hopefully we will see you soon. Merry Christmas and Happy Holidays!